You will notice 2 areas on your baby’s head that seem to be lacking bony protection. 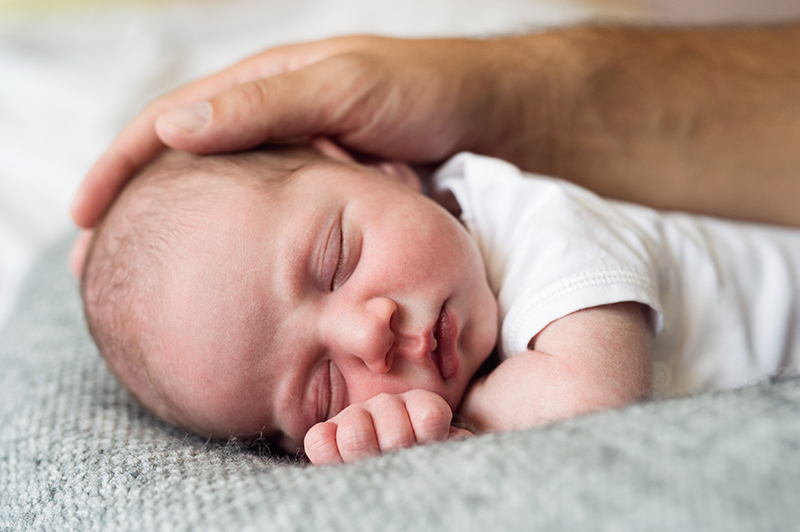 These soft spots, referred to as fontanelles (anterior for the larger one in the front, posterior for the smaller and typically less noticeable one in the back), are normal gaps in a newborn’s skull that will allow your baby’s brain to grow rapidly throughout the next year. In young infants, a sunken soft spot (when combined with poor feeding and dry diapers) can suggest dehydration. Our advice to you: Don’t read too much into this because it can be a subtle finding or sometimes be present in normal babies. Instead, make sure you have a good grasp on how to recognize dehydration and check with your doctor if you have any concerns—with or without a sunken soft spot. In some instances, the soft spot on the top of your baby’s head may seem to be pulsating. There is no need to worry—this movement is quite normal and simply reflects the visible pulsing of blood that corresponds to your baby’s heartbeat.